Susan has been a high school teacher for 26 years. She has an BSEd in Elementary Education and a MSEd in Secondary Education and English. Classroom management involves the number of techniques that teachers use to ensure that their lesson plans are executed in a smooth and productive fashion with as little distracting behavior from students as possible. I have had many interesting experiences and have learned several classroom management strategies in my 25 years of teaching. I would like to share these important techniques with both new teachers and veteran teachers alike and all those who are dealing with a disruptive classroom. There are two key strategies that I have developed over the years to curb disorderly behaviors in the classroom before they begin. These strategies involves developing relationships with students and arriving to class with a solid plan. Teaching should not be treated as a popular contest, but there will always be value in getting to know your students on a personal level. Here are some approaches to building relationships with your students in order to gain their support, increase engagement, and minimize disruptions in your classroom. Listen to your students. Be open to receiving feedback in class so that they feel that they have some sort of influence on their learning experience. Develop a genuine curiosity about their interests and what's on their minds. Find parallels in your own life to bridge the conversation. Identify their strengths and weaknesses as quickly as possible. Your classroom management plan should be well-thought-out and ready to go on the first day of class. The more front-loading you do at the beginning of the year, the more you will thank yourself later. Your set of rules should cover any sort of disruption that you can think of. Your consequences should deter students from interrupting the flow of your class. Send the first disruptor to the hall and the second to the office. Let your administrators know about your class. Never let your class know they are getting under your skin. Treat your students with respect. Tell the disruptive student that you do not need his or her help. Before we begin, this is a friendly reminder that being overcome with frustration is natural. Do what you can to model an appropriate response by setting a positive tone, even if that means taking a few moments to compose yourself. You have to have a sense of humor in the classroom. If you do not there will be a disconnect because the kids will not like you and you will not like the kids. Using a sense of humor with your students is the best way to disarm a bad situation. Be sure to be careful with your sense of humor. If you try to carry it too far with students who do not understand their limits, you could have a potential rowdy class who thinks you are a clown and a pushover. Dispel this notion by constantly giving the kids guidelines. Once they have the guidelines for classroom behavior, they will “get” your sense of humor. A disruptive class is just waiting for you to raise your voice and yell at them—they love it. It gives the students a chance to raise their voice and argue back. They love retelling stories about the teachers who "lost it," especially if they know they were the ones who caused it. Be careful that you don't show up in their Twitter feeds. Do not give them the pleasure. Staying calm, cool, and collected is the key. When my classes are talking too much or out of their seats, I stand in front of the class and simple stare at the class. One of the students gets the hint. Then I hear, “Shhh, shhh, shhh!” all over the room. I act like I did not even recognize the loudness in the room, and I start or resume. There have been a few times that it has taken a class too long to quiet down. In those few occasions, I say, “Obviously, you know what is going on today. The assignment is on the board. I am not wasting my time with you. You are on your own.” They are all aghast. I go back to my desk, and one at a time the kids trickle back asking for help. This may seem harsh, but it works. I do eventually go back to the front of the room and ask in a humorous, sarcastic tone, "Would you like me to explain?" They usually give a resounding, "Yes!" Even though they would like to make you think you are unimportant at times, most of them know they need you. I have to admit, learning their names is the hardest part for me. I start looking at rosters over the summer. If you have a troublemaker in class, you want to be able to call that student by name on the first day of school. Unfortunately, the ones who want to cause problems are the ones easiest to remember. The kids who do not say much are the ones I need to work on most. Remembering their names shows all your students that you care about who they are and what they do. Many times, just knowing a name will help stop a kid from creating trouble. In the beginning of the year, you must set the tone. If they are going to make trouble in my class, I give the first warning, “The first one goes to the hall and the second one goes to the office.” There are usually at least two pushing the buttons - many times together. You must follow through with the threat so they know you mean business. When you show them in the beginning of the year that your objective is to teach them and not babysit them, they get the message quick. Students love to test teachers. Not because they are "bad" but because they are kids. Try to remember your own school days so you can relate to them before it is irreparable. When you send a kid to the hall, make time to discuss the problem clearly. Some students, even in high school, do not understand why they are being disciplined. Make it clear in a way that lets the student know you want their success. The same goes for if you send a student to the office. Find a time to discuss what happened to lead to the discipline. If kids know you are still on their side, they will try harder to do better for you. This past year, I had a class full of boys who were childhood friends and loved to have fun and aggravate. They wanted the tone to be a “them against the teacher” tone and made it clear from the beginning. I went to the administration about it. They knew the boys already, not just from having them in their office but also knowing them in the community. These were not bad kids. They just wanted to have fun. I totally related. Letting the administrators know about the situation prepares you and them for any situation that might arise. After I let my administrators know, they would periodically show up in the room either a couple of them or just one. What I loved was that they never made it seem like a visit for discipline. They would come in, ask how I was doing, ask the kids how it was going, and actually conversed with them. It gave the kids a good feeling to be recognized by the administrators in a good light rather than in the cloak of shame when they are sitting in the office. When you have a disruptive class, the administrators can really have a positive influence by just making an appearance and showing interest. You must let them in on the situation, and tell them you want them as a preventative measure, not a last resort. As soon as you let a disruptive class know that they have gotten under your skin, they have you right where they want you: angry, agitated, anxious, defensive. No, no, no! Do not allow this to happen. Again, you have to set guidelines from the first day. You must also loosen up enough that you can find humor in something they just did that you would not otherwise find humorous. You will have a miserable year if you allow them to make you show what you are actually feeling. They love it when you “go off the deep end,” especially in the beginning when they do not know you. Keep reminding yourself that their success is your success. You just need to control the type of success. From the first day, always remember you are the adult and they are the student. You must also show them respect if you want to receive it in return. That last line usually gets a smile. I treat a disruptor with respect (when their behavior hasn’t gone overboard), and in return we go back into the class and things are better. Kids need to know adults understand and respect them. Sometimes, the teacher does have to send the student to the office. Many times it can be handled one-on-one and a new respect for each other grows from those times. There are times that you have to constantly work on that student-teacher relationship. It is inevitable. You will have one kid misbehaving, you tell the kid to stop talking or tapping his pencil or getting up and down out of his seat or whistling or whatever other annoying thing the kid can come up with to disrupt the class. Once you tell the kid to stop, you have another kid mock you by saying, “Yeah, stop that. Don’t you know you are annoying everyone else?” These kids are in high school. Most completely understand the dynamics of the class: good and bad. When a kid “appears” to be “helping” you with discipline, it is probably a case of mocking you to get a laugh or to get a group to start in on their buddy to create the drama. I simply say, “I have it handled, and I don’t need your help.” Abrupt and to the point. They know when they have crossed the line. Teaching is a learning experience like anything else in life. We've already discussed some tips for the classroom, so now lets get into some things that are to be avoided. Establishing and reviewing your expectations, rules, and consequences is essential to forming the foundational principles of your classroom. Be consistent in your doling of consequences to convey an equitable environment to your students. Failing to triage an issue. 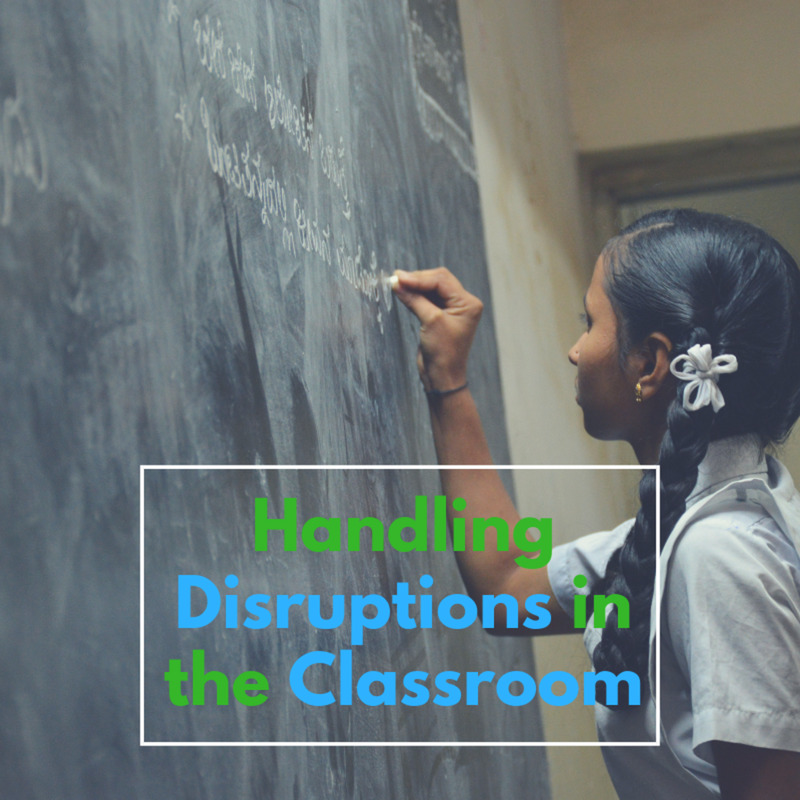 Most of the disruptive behavioral issues that students exhibit in classrooms are indicative of an underlying issue. What these students need is a trustworthy adult to dig beneath the surface to find out how they're doing. Sometimes the issue will be out of the scope of what a teacher can handle, so coordinating the student with a professional may be necessary. Striking down too hard, too quickly. Teachers should do the best job they can of implementing a progressive disciplinary approach in their classrooms. Not every issue warrants a trip to the principal's office and a suspension. Small infractions can be reprimanded with conversations and detentions. Dismissing students from your class too readily can leave you with less options going forward. Students will take you less seriously if you fail to deliver on your promises. This is one of the biggest mistakes teachers can make. Things will really get out of hand when your students catch on to these tendencies. Don't give them open avenues to exploit you. I hope these are helpful tips to get you started on a good school year. It doesn't matter if you are a new teacher or a veteran teacher who sees a problem with a class of 35 – 40 students coming in; using clear strategies will help your year go by much smoother for you and your students. The strategies also allow you to build relationships with students rather than letting constant tension control the classroom. Some educators may disagree, but going in strong sets up the tone for the year. You can always loosen up as you see fit throughout the year. You can breathe a sigh of relief now! Here's expert advice on what to do when students act up and personalities clash. These will seriously cut your stress. 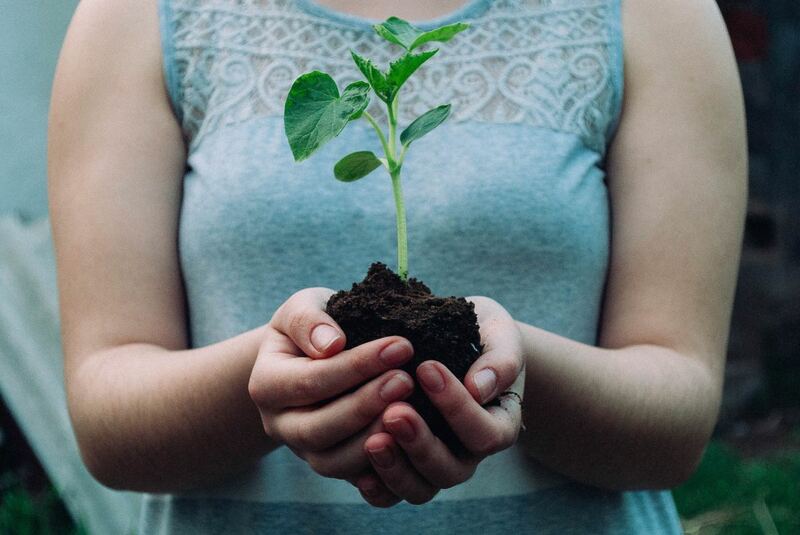 Members of our WeAreTeachers community share their #1 sanity-saving classroom procedure. I’m a very very young teacher, and I know one group of students do not respect me. I have raised my voice, sent them to the office and they still don’t respect me. They mock me in class in front of my face, and I don’t know what to do anymore. Could you help me? Since they don't want to learn, sit at your desk and say nothing. When they ask, say, "Since you seem to be so active in class, I assumed I couldn't teach you anything." Do not sound whiny or upset. Be very straight-forward. IF they don't ask, call administration to come to your class. Let them know the situation before they arrive. Also, separate the worst offenders with a new seating chart. How do learners who are not paying attention affect learners who are paying attention? If they are sitting quietly, they are probably not affecting the other students. But if they are doing something distracting, then they need to be disciplined for disrupting the learning environment. Try to tell them to stop, if that does not work, send them to the hall or office. How do noisy students affect other students? 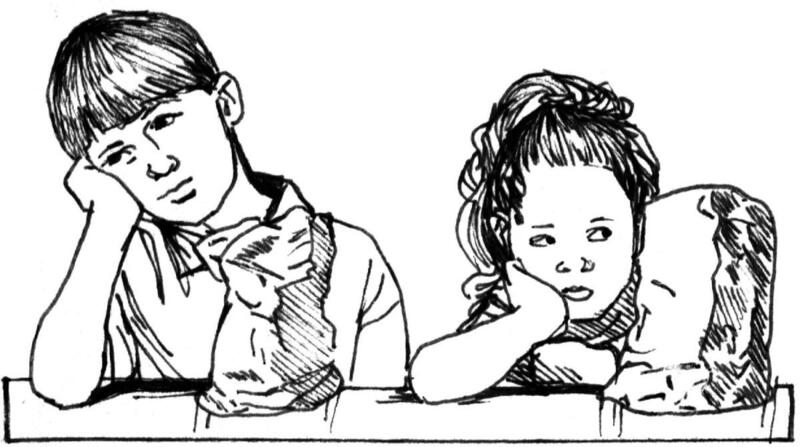 Noisy students distract other students from the entire learning process. Many of your learners come from different cultures with different ethnic and linguistic backgrounds. You have been teaching, and learners are complaining that they cannot understand you or follow your logic. What would you do to deal with this? I have assigned student buddies. They help with the learners who are having a hard time keeping up because of their different backgrounds. The challenged learners and buddies also form a bond that makes learning easier and more fun. I also make myself available and answer their questions to the best of my ability. How do I handle a student who is a troublemaker but also very smart? Try to engage that student with some type of common ground. Ask direct questions to that student. If the student chooses to be a smart alec to get a laugh, send him or her to the hall. Then go out and explain that you know he or she knows the answer but the disruptive behavior is causing other students to miss the lesson. Appeal to the student to be helpful, but if the student does not cooperate, give a warning that you will have to refer him or her to the administration. Keep your cool because this type of student loves seeing a teacher unsettled. Email the parent. Chances are they would not approve of the behavior and the disruption to the rest of the class. How do you handle a student who does not want to enter the classroom? Tell the student that he or she will be unable to make up the work that day if they don't enter the classroom, and document it by emailing their parent and cc'ing the administration. The administration should come to check out the situation. If you are unable to email, send the student to administration. If students abuse others, what should I do? Call the administrators, call the parents, and have a meeting about the student. Make a plan to help the student stop abusing his classmates. Ask the student how he/she would feel if others were doing the same to him/her. I am about to go into teaching, and I realize pupils are stubborn and difficult to control. How do I handle them? Use the strategies given in the article, and use a strong voice that tells students you are the one in charge of the classroom. Separate those students who seem to encourage each other or the class with their behavior. Do not lose control or you will lose the respect of the class. Send the stubborn student out into the hall if he/she will not cooperate. How do I answer when a student asks "Can I go to the bathroom?" during class? Typically, if it is not during a test or a quiz, I allow kids to go. If the student is abusing the privilege, I stop allowing them to go. Some teachers take five points for leaving the room or give them a tardy. Others allow up to three visits to the bathroom in a quarter or a semester. It is up to the individual teacher. What can I do with a destructive child in class? It depends on the circumstances. Send the student to the office or call administration to come to your room. If there is a disability issue, the school may need to evaluate the student. How do I tame students echoing my words and being noisy during the lesson? I would give them the silent treatment, go to my desk, and wait for one student to ask me what I am doing (or just tell them if no one asks). I would say, "It seems you already know what to do for this lesson and assignment, so I am just waiting for the class to turn them in. I know your parents will love seeing your 'high' scores since you obviously know this material so well." When I enter the classroom in the morning, learners always appear to be out of control and somewhat disruptive. This behaviour affects your ability to begin the class. What would you do to improve this? Since I let students know what to expect at the beginning of the year, I rarely have had this problem. They know when the bell rings, it is time to start. On the rare occasions that this has happened, after I have stated, "Let's get started," I have stood up in front of the room silently looking at them until they notice and calm down. If they don't quiet down, I walk down the center of the room to my desk and sit down. This usually shocks them into quieting down. Then I go on as if it didn't happen. Do not let them see that you are bothered by it. I guess if that does not work, I would tell them or write the assignment on the board and tell them it is due at the end of class. It is all about choices. They will either choose to do the assignment for the grade or not to do the assignment and receive a zero. I am a new teacher. How should I handle my class? Make sure you have clear rules and procedures in your classroom. Create a seating chart, so you can learn student names. Address any problem immediately. Do not hold a grudge from the class before - handle it then make sure the learning environment goes back to normal. Apart from drafting classroom rules, what is the role of an educator to prevent disruptive behaviour in the primary school classroom? Display the rules and consistently enforce them. Have a realistic consequence, whether it is time out or missing recess, it must make an impression so the student doesn't want to break the rule again. 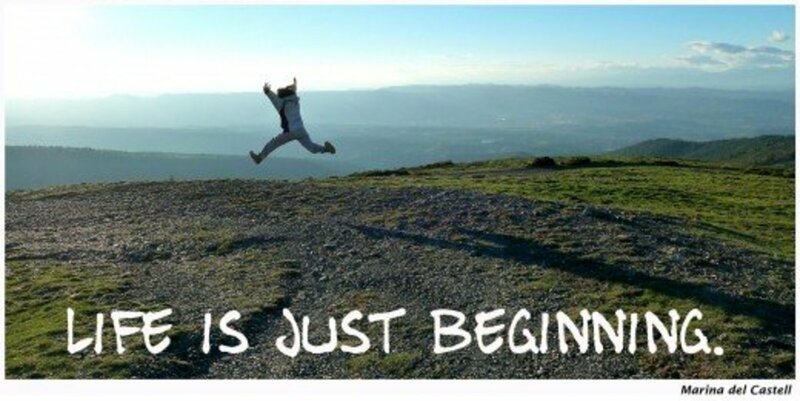 Also, start from the very beginning of the year so students know what to expect. As a teacher, how should I handle finding an inappropriate note in class? After determining that the note is inappropriate, call the student back and ask if parents would be interested in reading the note. If it is indicating danger to the student or others, you are a mandatory reporter and must turn it over to the administration and talk to the resource officer (if you have one in your school). How do you deal with students with anger issues and students that fight every day? My school had a zero tolerance rule for fighting. If they're fighting, call the administration. If they're arguing and they are disruptive, talk to them one-on-one and tell them they will have to get along in class or be sent to the office. The class must go on with or without them. 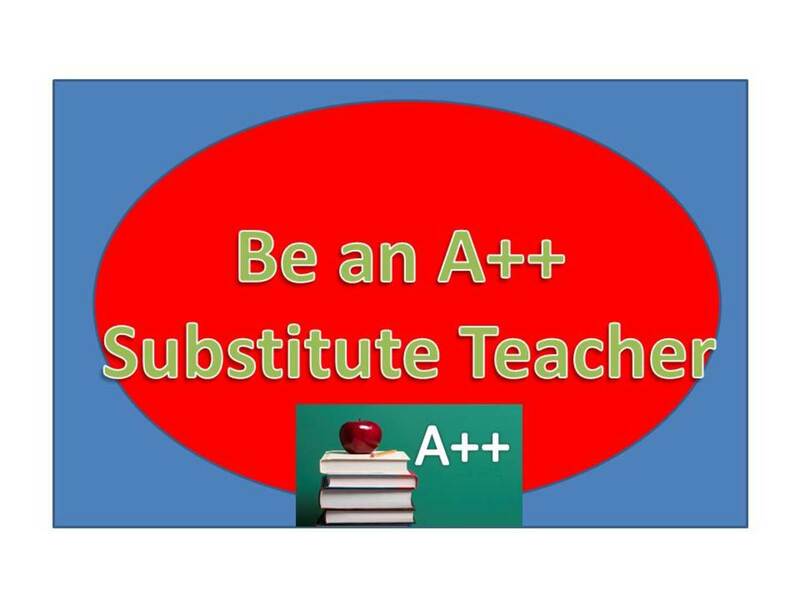 One of my students frequently becomes upset over her grades and will ask for extra credit. While normally I would be supportive of someone with her motivation, I am concerned because she frequently gets As and is often worried about only a few points. How would you deal with this learner? Typically, there is more under the surface. For instance, parents will push their child to get good grades for scholarships. I work with students like yours, and many times I simply assure them that they are doing well and do not need the extra credit. I allow them to do extra and am ready for them. I also assure them that I will not allow them to "sink" when they are working so hard. Build your student up, so they have confidence in what they are already doing. I have a few students who typically act out. Parents are not in the picture; either grandmom or godmom is in charge. Students have been homeless and neglected. How do I keep them focused and following the classroom rules? I have had several students like the ones you are describing. Set your rules and expectations with them and pay attention to what they are interested in. Talk to them and try to build a rapport with them. That is hard when they have been so disruptive or disrespectful. In most cases when they feel respected, they return the respect. Also, I would ask them questions about the lesson while they are being disruptive. If they cannot answer, I would say, "I suggest you pay attention so you can answer the next question I ask." If they do answer, I would say, "Thank you for your answer. Now, please quit disrupting other students so they can understand what we are covering, too." How do I handle a student who does not want to enter the classroom? Let your administration know about the situation. 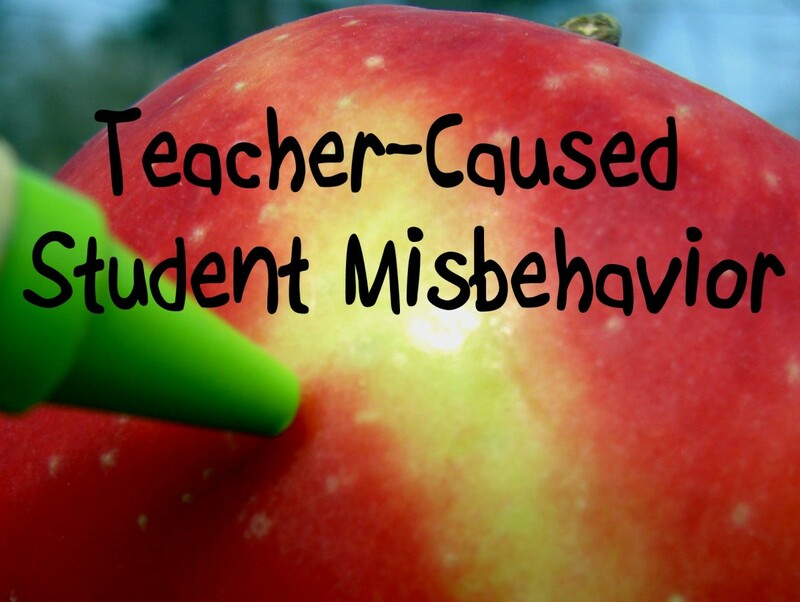 How should I go about handling a mischievous student in the class? Other than what I have already stated in the article, identify the student as soon as possible. Factors: Is the student consistently causing a distraction to other students and you? If not, is the student going through something that a one-on-one discussion might solve? Is the seating chart/ nearby friends creating an audience for disruption? These are things all teachers need to look for with students from the beginning of the year. I find my mischievous students are often some of my favorites because they are intelligent and most times bored. Get to know them so you can use their "antics" to your advantage. I teach a private English course to young kids who are disruptive, especially the boys. What can I do in this situation to stop my students from being disruptive? If the strategies in the article did not work, you may need to call parents and/or administration. Why do you portray that there is help available? In my case, there is help available. My school is a community. Administrators help, fellow teachers help, the school nurse helps, and other staff will help if possible. One student refuses to stay in the classroom. What activities can be created for him? First, talk to the student and ask him why he is leaving the classroom. See if you can create a student-teacher relationship so the student will not leave the classroom out of respect for you. When you see the student is about to leave, ask him to help you with a task. Make him feel respected and needed. For instance, you can ask him if he could clean something in the room, water your plants, grade a paper, or assist you in what you are teaching. If the student still leaves, let the administration know as soon as he leaves the classroom. The main issue is building a relationship with the student to make him feel like he is wanted in the classroom. Talk to him. Smile at him as he walks through the door. Ask him about his day. Build a rapport, so the student feels connected to the classroom. Why shouldn't learners who are trouble have their own class? It is not dependent on students who cause trouble in class. A student who causes trouble in my class may be an active participant in another class. My job as a teacher is to figure out how the trouble-makers learn and fit into the learning environment. How do I deal with an orphan in the classroom and how do I encourage him? I would compliment his work and look for his interest to discuss with him. If he is in a sport, ask him about the team. If he is in choir or band, ask him what part he sings or what instrument he plays. Have the class write a narrative paper about their interests. That will help you understand him. I know math teachers who have done this just to get to know their students. It was easy for me to fit a writing assignment because I am an English teacher. Do you have any suggestions for dealing with a child in pre-K who speaks no English, is disruptive, and won't listen to parents? Other than my own children, I have never worked with pre-K. My suggestion would be to have a "time out" area away from the other children. The child may be trying to get your attention with the disruptive behavior. Maybe spending time with the student while others go to another activity would help build a good rapport. As an educator, I advise my preservice students to limit how they send students to the office because it reflects on their lack of classroom management skills. Only use that when all else fails. am in my last year doing a BA.Thanks for the help. I'm an EA and sub for K3-Grade 8 in an elementary school. #3, Silent Stare, is by far my favorite. Sadly, I think the effectiveness of the Silent Stare has been growing weaker, either because kids are too thick and self-involved to 'get it', and/or they feel no shame. With one particular class, the longer I stand still, silently, the rowdier they become. Dang it. For most, however, it's effective, and will remain one of the first tools I pull out of my belt. Thanks for the great article. Sue, you and I are in absolute agreement. Adults have to give the respect, the love, the enthusiasm before they can get it back. It must start with the teacher. I substitute taught kids for six years, all ages, and now I drive a school bus part time for special needs kids. I was great at teaching, but terrible at discipline (at first). But over the years I've learned it's a sort of dance. Sometimes you're strict, sometimes you're looser, depending on the day, the kids, and what you have to cover. You have lots of tools at your disposal: Your goodwill and praise, the admiration of the other kids, a point system, seating arrangements, recess time, staying after school, talking to their parents, the Corner, computer time, etc, all coming before sending them to the principal's office (last resort). Kids, like anyone else, want to know that they're loved, even the violent ones. You have to set rules, they have to know the rules, and you have to be consistent in enforcing them. The first thing I would do in a new class, if it started out rowdy, is get their attention. I'd suspend the normal lessons and focus on three things: Finding out what the kids know already, finding out who they are, and finding out what they want to learn. I would hold discussions, both whole class and group. I would memorize and use their names. And I'd make sure everyone had a chance to talk. Then I would incorporate that knowledge into the way I teach during the whole year, making up exercises and examples that the kids relate to (and using their names) when I explain how math or some other subject works. Teachers have tons of choices available to them when they teach, and kids are much more responsive to a teacher when they know she/he cares. Hopefully, you are not a teacher or working with young people. Students are not animals. They are fun and energetic with so many gifts and values. They need patience and guidance and, at times, discipline. It would be a waste and a path to failure for our future if we give up on our kids. There's not much you can do when you have a bunch of animals in your class. Just lower your expectations to a very low standard and this will help you a lot. You can't force kids to learn when they don't want to be there. Don't waste your time or tax payers money on this krap! Teachers waste their time on teaching to the animals that don't want to be there! Oh, I do send you BEST WISHES! The first year is so hard. One thing all good teachers do is plan, but not just for the classroom, for techniques with student behavior and their reactions to it. You will be leading your students with your behavior and reactions. They are going to test you in the beginning, which is why you must be strong. I remember writing monologues to address a bad class period. Tell them what you will and will not tolerate. You cannot be their friend in the beginning, and that is hard because we all want to be liked. Being liked will come later. Right now be strong. Try not too show your frustration (I know how terribly hard that is). Keep up that quiet stare, but also talk to them in a strong, level voice that tells them you are the adult and they are the students and that is how it is going to be in your class. You have to earn their respect. Never "look down" on them or be condescending. Give them your strict guidelines now in the beginning. BEST WISHES to you!! I am in year 6 and teach an encore class. 4 periods a day I love my job....3 periods a day I hate my job and wish I had become a lawyer. The key for me has been one day at a time, on class at a time and if you burn out don't worry you are not alone. There are plenty of teachers that punch the clock and do worksheets. It's a very, very, very hard job. One period you feel like the greatest teacher in the world and your kids are all going to go on to do great things and the next period you imagine all the kiddos will be working at McDonalds or end in prison because they never leared computer applications. I am in my first year of teaching and it's only my second day but I'm already so stressed. The class is very noisy that if I talk in a my normal tone, no one would hear me. Also one of the disrupters can't stand quietness that the moment I turn my attention away - he is poking or hurting someone. The only thing that seems to work with them is staring or if I threaten to take them to the office. Quite frustrated because it takes long to get them to settle before I can start work. And if one child is reprimanded, another starts mischief, is out of their place or talking to others without caring to work. Wish me luck! Am at the university pursuing BA in Education, I know that being a good teacher is the most fulfilling thing. To be always passionate is the thing. I am glad you have had no issues this year. Sounds like you had one of those days we all have. The good does outweigh the bad, though. I'm glad it helps. I know, they can get under our skin at times, but they also bring so much joy. I agree with Zoe and unknown. Yes, Effective Teacher Training teachs you all BUT disaplince for the middle/high school kids. Literally there are many kids and parents who absolutely DO NOT CARE. I have been with many of middle schoolers in elementary but with other feeder schools going into middle & high, unless I know them or parents, little respect. It’s sad! I’ve had no issues this year but my class today ridiculous! One period on way from lunch and bath kid turns back saying she is going to hurt someone, I got to her and a regular teacher had her and 3 others, with officer, VP and three teachers watching them scream at each other most of that period. Next period a kid for no reason, gets up rips his paper up and walks out door. I had to follow and tell kids to get Officer. No co teachers. I have had this happen. I have stood after a bit, and said in a firm voice, "All right, I am not talking over you. If you choose to not do the work, your grade will reflect it. I am sure your parents will be proud. I will be happy to talk with each of them. If you would like to have my help, I am here. It is up to you how you want this to work. Personally, I want all of you to be successful." You could also actually call the parents - not my favorite thing, but usually the parent wants what is best for the student. Or, choose one student, send that person to the hall and announce the next student will go to the office. Be strong. Don't let them know they are getting to you. I also remember making lists of things I wanted to say to a class or to classes. I would write it all down and try to word it while I was calm. Then I would use it as a script in a calm, serious voice. Let them know you are there for them. Try to win them over with logic. The first few years are the hardest, but hang in there! I am sorry you do not have any support from your administrators, or I would tell you to have one of them come in and talk to the class. I know this comment is a little late, but still would like to get your advice... what would you do if the class was still rowdy and didn't come for help after you would sit down at your desk with the assignment on the board? When I've given my class in-class work a lot of them don't do it and just talk with their friends. I've started giving 2 grades for work--in class participation and completion grades, but am worried that they will just go crazy if I sit down. I am a first year teacher at a title I charter school with no background in education and have little/no support in management of my 4 classes one of which consists of 30 freshmen. Please help! Thank you! What excellent tips you have. You must be a remarkable teacher, and your students are very lucky to have you. Thank you for sharing your tips with others who can benefit from them. Jensang, sounds like you have a miserable situation without the support of the administration and the co-teacher. You may need to take harsher methods because you are forced into this corner. Send out the trouble makers and tell the co-teacher to go watch them. There are students who want to learn, and they will appreciate it. Start giving rewards for good behavior. I have small candies, and I am always shocked to see how they will compete to get that piece of candy. Those who are not getting the reward may change their ways. Best of luck to you!! I know my comment is extremely late, but I ran across the article while i was looking for classroom management strategies. I think these are good tips IF the students understand English AND if you have the support of the administration or other teachers. For me, this is my 7th year teaching English in South Korea. This is my 5th year teaching middle school but my first year at my current school. The students are by far, the most disruptive and rowdiest bunch of kids I've ever seen. Most of these tips I already employ. However, some things I can't do, I have co-teachers, but they do not care about my classes. I even have one co-teacher whom on the first day, did absolutely nothing and thought it was her job to just "observe". Administration also does not care. They feel it's the English departments problem. I've had students get up and walk out of the classroom, lay on the floor and go to sleep, form small groups on the floor for their own personal discussions (right in the middle of my teaching) and even stand on the table sticking pencils in the fan. I never lose my temper and I never yell. But my main problem is my co-teacher, she won't do anything or the bare minimum, sometimes laugh at students behavior and although she claims these are "your classes", she will allow students to go out of the classroom or use the backdoor even after I've said no. The first semester is almost over and I think I should just ride it out until the end but I'm definitely not renewing if they ask me. I have recently started an afterschool program for children, ten years to 14 years in age. They all have some behavioral issues. I have not got off to a good start. I will gladly try some of the techniques that you have mentioned. It has been quite a few years since I taught the Special Ed population. Children seem to have different needs now. Wow, Jeff, it sounds like you had your hands full during the observation. I have had those type of observations. One time a kid was asking the off topic questions then jumped up to go in the hall to answer his cell phone. I kept my cool and made him sit down. My administrator was impressed that I didn't explode. I thought I was going to bite the kid's head off, but I didn't. I always start off with the rules and expectations. The kids are a bit afraid in the beginning, but we all lighten up as we go along. There is always that one kid or group of kids, though. Early in my career, I would take notes on a bad day and go back and tell the kids it wasn't going to happen anymore, and they were welcomed to complain to the office if they did not like it. I would also follow up with, "First one who causes a problem goes to the hall, the second goes to the office." They took me seriously, and it usually worked. Right now be stern and go from there. My administrators would not approve a whole class punishment. Maybe you could give before or after school detentions. Sometimes it intimidates the others by sending that first difficult student to go work in the hall and require him to turn his work in when the class ends. Hang in there! You know your kids and will be come up with something. Maybe a "Give respect, get respect" talk. If they don't get it, maybe some extra work for the whole class to keep them busy. After you get the class back to where you want it, you might try some brain breaks (Google it) to give these boys an outlet for their energy. Good luck! I hope all goes well with you! Great article. I moved to a new school recently, mid way through the year. For the last 8 years I taught at a small girl's school (small community, pretty easy to manage fairly academic school). I've moved to a large independent boy's school, pretty academic. In my 8 years of teaching (came into teaching lateish from industry) I've found being courteous to students, showing them respect having a good sense of humour has worked for me. I felt very relaxed and appreciated and got very good results for my students (I taught maths and physics but at my new school physics only). I have been at my new school just under a term and am still finding a few classes a real struggle. A level sets have been fine but I have two year 8 and one year 9 set that I have really struggled with. It possibly seemed clear to them that me coming in and greeting them with 'good morning gents' and trying to get to know them a bit early on and treat them with respect has maybe been perceived as weakness. One lesson last week was observed by the head of maths (as I'm new to the school) and it didn't go well. The kids were giggling and being silly, calling out and trying to send me off on tangents by purposely asking questions off topic to throw me. Not sure if they were doing it all the more because the Head of maths was in there with us? I did lose my rag with them a bit, didn't help that I was being formally observed! I did keep one of the kids back who kept shouting out the most to think about his behaviour and write how it might be impacting on his learning. As one of the other posters has suggested not sure if what he wrote was genuine? I talked to a colleague from my old school who said I should keep the whole class back if there were a number involved in the lowish level disruption and that I should tell them that they all have a collective responsibility to behave in a certain way if we are to get through the course. Now I'm not sure about this because some articles I've read suggested that if you punish everyone then some of the kids that you did have on side will hold it against you and find an excuse later on to play up as well? Not sure what you think. Part of me wished I'd 'cut my teeth' in a more challenging environment earlier on so I would have more strategies now. Thank you, Al! Teachers have to bide their time and earn respect in the most patient way. "Losing it" only makes the job harder - but it can be extremely trying at times. Ha! Hi Susan. I enjoyed reading your article. I am glad you mentioned keeping your temper and not letting kids know they are getting to you. I think they are very important. Even when you are being driven to distraction you have to be calm and keep going. That is not an easy thing to do. I also agree with persistence. It takes time to be in control of a difficult class. Well done. Lots of great advice. Hi Fred, thank you for commenting and sharing your experiences. I have had classes/years like that. Not all students care or seem to care. 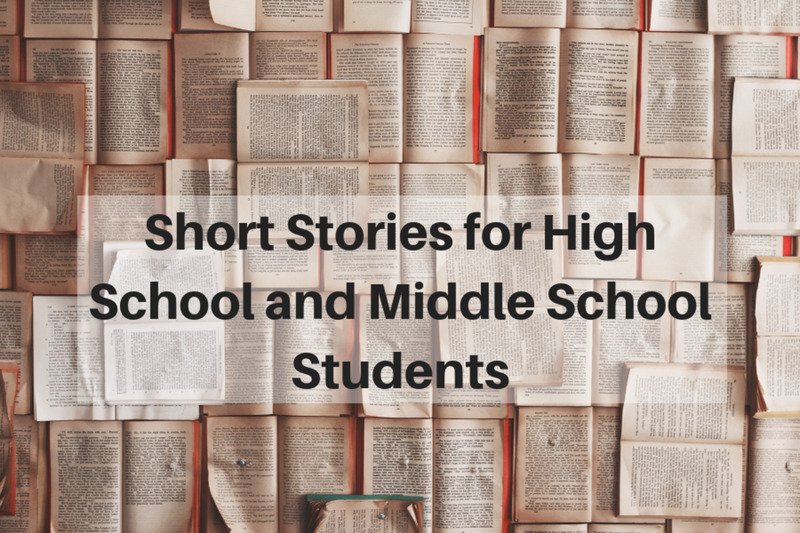 When we have classes like the one you describe, and most of us who have taught high school for several years probably has, we have to hang on for the ride and hope that we save those who want to be saved. A mistake I have made is thinking that some of the hardest cases don't care and that their parents don't care. I really stink at contacting parents, but this year I have started calling and e-mailing them. I am amazed by the results and kick myself for neglecting this approach for so long. When parents call me, it is usually okay, but those parents who want to blame me are the ones who have dictated my lack of contacting other parents. For instance, this year I have this kid who is hateful and disrespectful and loves to make the others in the class laugh at my expense or disregards me altogether. I contacted his grandmother and father. WOW! He is not the best academic student and he still shows disdain for me, but he is trying and he has stopped his worst antics in the classroom. Before, I had to send him to the office for several offenses. Quite frankly, I had had it with him and wasn't going to tolerate his behavior any longer. He could sit in class, but I was at the point that I didn't want to hear or see him do anything. Because I had contacted home, he told the principal that he regretted his language and had been doing better, and he didn't want to mess that up because he was passing with a "D." The principal came to me and said he gave him after school detention instead of in school suspension. Since the kid showed him regret, I agreed. It came down to the straw that broke the camel's back. I had had it, and the kid knew it. I never lost it with him, just sent him out and ignored him. After the last incident, the kid still disrupts but less and less and he is trying to do his work. This opens the door for me to let him know I still care about his grade and want him to pass. He is just one of the many hard cases that I have and have had. Hang in there and hopefully something will happen and things will get better. "We can lead a horse to water, but we can't make it drink." I think every school has a problem with kids not caring and parents not caring because they are lost as to what to do, too. One thing I have started trying is using brain breaks (just Google them). Some of them seem completely immature and ridiculous, but the students, even the "I am too cool for school" kids, love them. I think I forget how teens need to have a little fun. Since you teach math, I think there are brain breaks that are just for math skills. For those classes that are off-the-wall, brain breaks are great for letting them expend some energy. I wish you the best of luck, and I hope you stay in teaching. Excellent help... thanks so much for this hub! God Bless you! These strategies only work when you have a majority of students who care about learning or are easily embarrassed into modifying their disruptive behavior. I teach in a suburban school where they would laugh at a stare and will lie their butts off during a one-on-one about how they are going to change. They don't. There are several classes a day where the majority of students simply DO NOT CARE. They cut up continually, use foul language, and look forward to going to the Dean because it gets them out of having to do any work. About the only thing they will respond to is highly sarcastic, targeted put-downs. These usually result in an immediate "Wow. Oh snap" and during that 2-second interval I can seize their attention and direct the focus back to the lesson for a little while. Generally within 1 minute they are already back on their cellphones, goofing off and making noise again. If I do finally have to send someone out for banging on the desk, horseplay, loud laughter, muttering under their breath about what a **** I am or playing basketball with my trash can for about the 10th time that day, they will generally argue, deny, ask "What did I do?" and so forth, then take might three minutes to make some kind of grand exit as they leave as slowly as possible. I've had to send out as many as 3-4 students at a time to get their attention. Yes, sending them out puts them on stage so they get a kick out of it. Appearing to "lose my cool" is in fact part of my shtick. They get what they want (which is to make me appear to be really mad) and I can move on and teach the 40%-60% of the students (depending on the class) who actually want to learn. BTW, this is a REQUIRED class for graduation. Do you think most of them care? Nope. They simply do not care and neither do their parents for the most part. Even referrals with multiple incidents rarely result in any kind of action...maybe a one-day suspension but usually not. We call them "frequent flyers." They all come back the next day, with no apology and apparently, to the others, no real repercussions. Last week a student walked out of class to engage in conversation with one of the many others who use hall passes as an excuse to roam around the school or congregate near the bathrooms. I walked out and told her she needed to come back in. I was told to "F*** off." Did I write her up? Of course not! I sent her to the Dean's office to cool out but I didn't write it up. Why bother? There's no point in writing it up because then the administration wants to then tell me I can't manage my classroom. Not directly, mind you, but with insinuations and dings in my evaluations. I even had a student call another a "f***ing snitch" and threaten to "knock her on her a** after school." What happened? The bully was suspended for a day and was right back in class. There was no apology required to the class, nor to me, nor to the victim of the verbal abuse. This is the real world of education today: Large-scale disrespect, an environment where the students run the classroom because they know they can get away with it, constant off-task behavior such as chatter and cellphone use, all while the administration focuses on sports, the band, the wonderful array of extracurricular activities....all the trappings of a real school with very little actual learning taking place. Do I need a sense of humor? Yes, a very dark one. Do I have to ignore 99% of the misbehavior? Of course. Do we make any academic progress? Yes, but the state standards are a joke. These students can barely do 6th grade math let alone algebra. Let's just say Algebra 1 here is NOTHING like Algebra 1 at a good school. We'll be lucky to get through 3 chapters this year of a 10 chapter book. Then they'll go on to fail the mandated end of course test and will be stuck taking some made-up course like "liberal arts math" for kids that can't pass the end of course exam and can't do any geometry. And large numbers of them won't graduate. There's good news: I'm pursuing a transfer (after I re-learn all the higher math I forgot by teaching such low-level students) and the county plans to develop several vocational high schools. And some more good news: I now know that not every student can learn. No, that's nonsense. Many can't, won't, and don't care. And at this point, neither do I. I'll just hand out Fs to those that deserve it and continue trying to make progress with the others, including the one that told me to "f*** off." She's getting a D this time, but maybe I can get her up to a C during the second half of the term. Zoe, I am sorry to hear you do not have the support you need to create a good classroom atmosphere. I feel very fortunate to have administrators who support me. Unfortunately, that doesn't help in my case. First of all,in my school teachers are not allowed to send kids out of classroom during the lesson. I mean it-it is really prohibited. Secondly,not a single kid has ever been sent to the headmaster-he does not get involved into it,does not want it and is not going to. Secondly, the administrators,even if they know about the disruptive class, are not eager or not able to do anything about it. Also, kids still don't give s damn about another teacher/admin sitting in class. Also, neither do kids' parents. Thanks so much, letstalkabouteduc! Sometimes it is so challenging, but the rewards outweigh the challenges in education. I do long for the days when "passing a note" was the worst thing I had to deal with! HA! Sound like a dinosaur... guess I am. Being patient is a must in teaching. The kids are great, but teachers do have to gauge what they say or do more than they used to, which includes how a kid will take a joke or a hug... We are now advised not to hug students, but when one is hurting a hug is so tempting. Cell phones are everywhere, and students take pictures and videos and record when teachers have no idea. Technology is great in some ways, but it can be scary, too. Thanks so much for volunteering! We do not have many volunteers at the high school level. I so admire teachers these days. It seems like a tough time to be in the profession with high stakes testing, Common Core, and disrespectful students. When I volunteer in my 7th grader's class, the cell phones alone are enough to make me crazy. I want to take them all and throw them out the window (the phones, not the kids). I just think to myself: God bless these teachers who enjoy working with middle schoolers! Great hub. Hi Relationshipc! I still remember being the student and the class clown. On the whole, most students understand what has to take place in the classroom to learn. It is up to the teacher to make it a comfortable, learning atmosphere without out taking the fun out of learning. I love teaching and having fun with the students. Once they figure out there is not much they can do to make me "dislike" them, they stop pushing the line. It is an adventure every day, and I love it. That's why all the teaches knew me by name immediately! I definitely have a lot of respect for teachers. I couldn't do it. Remembering myself as a student, I can see how useful your tips would be for controlling the class and your sanity. I still respect the teachers who treated me with respect, took control of their classroom, and never lost their temper in front of us. I found these tips exceptional. A teacher must face these issues early in the year to effectively manage the entire school year. As a retired teacher I enjoyed this article immensely. I had to chuckle a few times. Number 1 - having a sense of humor is the most important. I have turned around a bad situation with that many times. And Number 3 is most important - I give the "evil eye" and they settle down immediately. I literally practiced that one in front of the mirror during student teaching. A great set of coping strategies from a veteran teacher. Great hub! On the spot advice for teachers. I can tell you are an old pro. I hope you have more administrative support than I ever had. Votes up! Oh my gosh! Did he have Tourette Syndrome? I have had students with Tourettes, and students have been understanding. I speak softly to Tourettes students, and it seems to calm them. Tourettes students are usually highly intelligent; they just have no control. You sound like a wonderful student! I would have moved you the first time you voiced a concern. Now, if the guy was a trouble maker, I would have used the strategies above. The veteran teacher should not have yelled at the student. Handling it calmly would have helped the teacher and the student. Doesn't sound like there was much support for the teacher or the student in your school. I hate that for you. Jack Harris, a.k.a. Mr. Loudmouth, would sit in class, playing with his computer (video games, irrelevant web-surfing, etc) and YELLING at the top of his lungs at his buddy who sat next to him. He could go for two solid hours without stopping. Day after day after day, for two long semesters. The content wasn't merely irrelevant. Mr. Loudmouth was trying to get in to Whitireia's paramedic programme. So one day, he YELLED that, a personal benefit of working in health care would include, and I quote, "You get to see naked chicks". One time, I calmly asked him to tone down his incessant YELLING. After about ten seconds of calm, he was back to YELLING. I calmly asked him again to tone it down. Another ten seconds of calm, and then the YELLING resumed. So, I stopped doing the worksheet that we had been given, gathered up my stuff, and moved as far from him as possible, while remaining in the room. After about a minute, he noticed, and directed his YELLING at me, across the classroom, past several other students, asking if I thought there was too much NOISE in the classroom. He thought it was cute. The demoralised, burned-out Whitireia staff did nothing about this idiot. They didn't have the authority to tell the little scumbag to leave the room. When I complained to one of the teachers, her excuse was that Mr. Loudmouth had a learning disability. And she said that I needed to learn to tolerate it, because, and I quote, "This is how people act in professional workplaces". Near the end of the year, Whitireia hired a new teacher who was a hardened veteran of many years of high school. She was stunned. She eventually flipped out, and would scream at the entire classroom full of paying adult students. In her last class of the year, she repeatedly went over to Mr. Loudmouth to lean down and scream at him, desperately trying get him to shut up. And the outcome of all this? Whitireia then accepted Mr. Loudmouth in to their paramedic programme. Whitireia managers Beth Derby, Mary Manderson, and Leanne Pool told me that I was a bad student and a bad person for daring to form any kind of negative opinion of their institution, including their lack of intake standards and lack of discipline. Thanks for dropping by and the votes! Hi Ruchira! I hope your son has a great school year. Teachers can be pivotal in the lives of our kids. Susan.....20 years of teaching......that's remarkable in itself.....but then to see that you have such composure and sensible strategy for dealing with disruptive darlings....I bow to you! Don't know what grade/year you teach, but from the bit I see and hear just being at the school from time to time for my grandchildren.... I have no problem, hereby, dubbing you "Saint Susan." Well now that explains why I spent so much time in the hall and hardly any at all in the prinicpals office! Except 4th hour - I didn't get a study hall - they made me work in the prinicpals office:) LOL I got suspended too because I was taking the hall pass from the office and going around getting all my friends out of class by telling the teacher "the principal would like to see "so and so"..." hahaha Back in those days - they didn't even have a good intercom system. I made it work for me! You have the ideas of a teacher I would have LOVED! I was a pretty good student too - I was just real routy! lol Bet you can hardly believe that! Jenn, thanks for sharing your story. Your situation sounds like a challenge. I hope you write about it to help others become aware. My girlfriend taught in an inner-city school. She said she got into trouble by the administration for trying to break up a fight. Then the next day the parents showed up and they, with the kids, fought. The administration disappeared. I wish I had an answer for that type of classroom, but I don't. Again, thanks for sharing, and I do encourage you to write about your experiences. You are absolutely right, we constantly need to learn new ways to teach. Each year brings something new. I think you give some practical information and agree with alot of what you say. However, working in an urban school (that is the worst in the state, literally) the hall and office strategies do not work (mainly because there is no follow through on the other end). Students have learned that there are inconsistencies in our school and they take advantage of that. It would almost appear as if they were the ones running the school. That being said, it is up to the individual teacher to establish a routine and protocol for those students that exhibit behavior problems. As a special educator, I believe (like you stated) that establishing a tone on the first day is the most important thing you must do. I always establish my routines and then give the students some ability to help make the rules and consequences for when they are broken. Giving them ownership in their classroom will only help encourage them to hold others accountable when they act out. It is simply amazing to see who the leaders in the class become (sometimes they are some of the worst students). In addition, establishing a rapport with your students is very important. When they get to know you and you get to know them it is much easier to establish a learning environment. It is realistic to assume that this will depend on the classroom and the makeup of children in it, but as teachers we must be adaptable. I have learned over my 12 years of teaching in non traditional environments (alternative schools, juvenile placements, aka jails, and failing schools) that teaching is a constant process whereby we are also learning new ways to reach those we teach. I am going to forward this on to my teacher friends! great hub! Thanks, Lord de Cross! Nah, no ulcers from the kids for me. They are great once they understand the lines that can't be crossed. I appreciate your kind words. I bet you were a great student! HAPPY NEW YEAR!! I was a quiet and good boy when I was a kid. But, teaching today for me is out of the question. You teachers go through so much that I wonder if you have to deal with ulcers and psychosomatic effects. This was very informative and I admire your work. Twenty years is a lifetime sentecne in other 'areas' of life. Hope you had a nice New Year and Thanks for being an excellent woman. Thanks, Kheyward! I love teaching. Kid are a joy, but you do have to be prepared to deal with those kids who try to be difficult. I have edited the part two segment of this hub, so it does not appear yet. I have had good luck with these techniques at school and at home - lol. ;-) Thanks for dropping by!! I admire anyone who has a passion for teaching our kids these days. I know it can be a hared profession especially given the lack of respect mnay children give teachers. Hats off to you and all teachers out there. Wow 20 yrs is a long time. Kudos to you for your service to us. 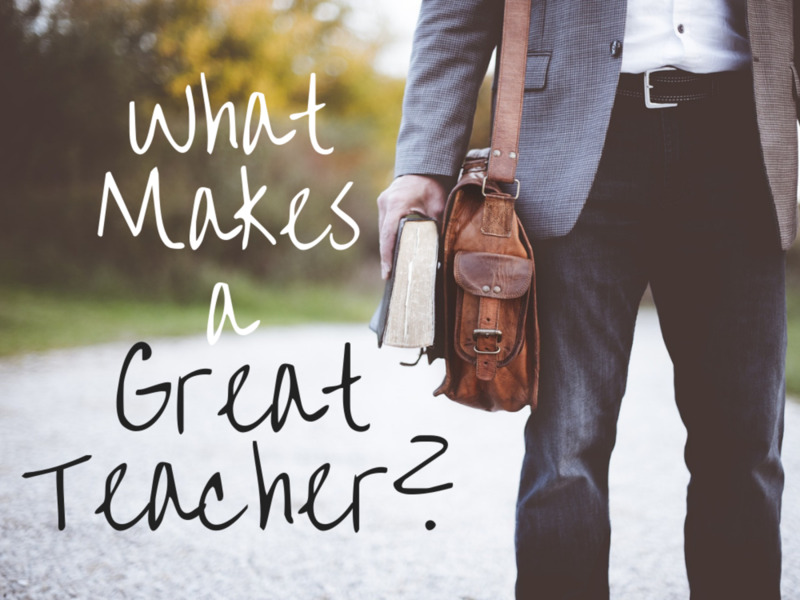 Yes, it is the teachers like you that have made an impact on my life - unfortunately where I come from, it's not always easy to be a teacher, and many aren't like you and your colleagues. When a teacher is like you, the students will immediately notice and respond too... and will remember you for a lifetime! Charlotte, you would be pleasantly surprised to find that many teachers are like me. If only we were left to just teach and nurture students rather than having legislators who have never set foot in the classroom dictating what they think education should be. Only the bad ones [teachers] make the news, but there are a barrage of caring people who teach. We are sure not in it for the money. LOL Oh yeah, we aren't in it for summers off either. Most of us are working on researching and preparing for classes and/or taking our own workshops or classes. This is on our own time without pay, too. I can't imagine doing anything else. Indeed these are great strategies! If only more teachers were like you. Thanks for reading, Munira. Yes, every class and student is different. These strategies work very well for classes that are disruptive. Each individual strategy can be used for several different situations. 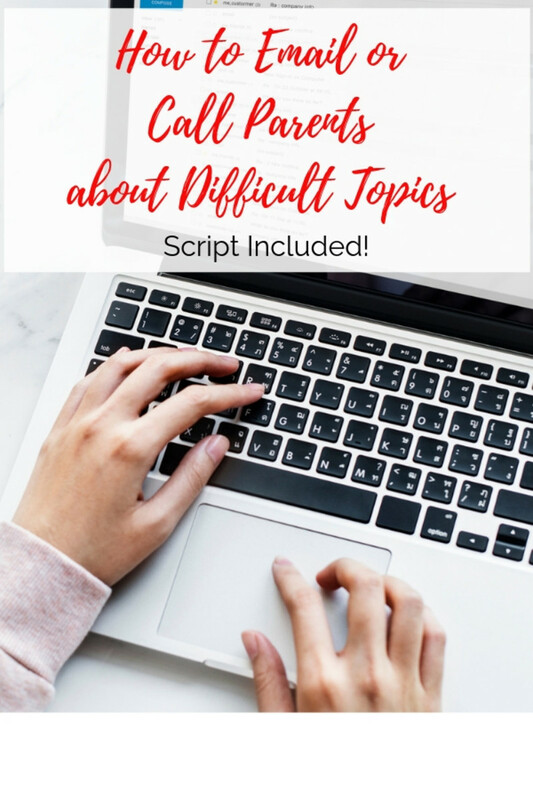 If you liked this hub, you might like Part 2: https://hubpages.com/hub/10-teaching-strategies-fo... Thanks for reading!! "Ten teaching Strategies for a disruptive class"
The hub is informative and useful. The tips given are based on practice. Each class has different kinds of students with different circumstances hence a teacher is to adopt himself or herself according as to the situation in which he or she is confronted. A teacher must read some elementary book on psychology so that the situation may be controlled on sound principles. Mere Hall or office strategies also fail in certain circumstances. The teacher is to learn more about own self as it is teachers behaviour that is going to be appreciated or mimicked. A cool, balanced, humourous and yet keeping all attentive to the lesson of the day is of course a good idea.